Greater Riverview Chamber of Commerce (GRCC) members were thrilled to be invited to celebrate the opening of a NEW Holy Hog Barbecue! The crowd was treated to samples of some of the tasty items being offered at Holy Hog Barbecue. Many of the guests either stayed to have dinner or placed an order for taking home. The first Holy Hog Barbecue opened in September of 2010 right here in Hillsborough County. Every day since then they have been perfecting the Brand and the food. This Bloomingdale location marks their 5th store! Not only do they offer meats fresh "from the pit", they also have a full slate of mouthwatering home-style side dishes to choose from. 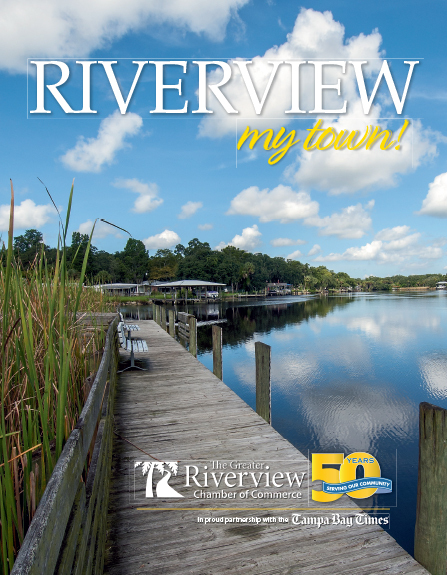 During the event, Honorary Mayor of Riverview, Bill Andrew, Superior Residences of Brandon Memory Care delivered a proclamation to Holy Hog Barbecue. In addition to letting people know that Holy Hog Barbecue is YOUR Hometown Smokehouse, the proclamation named January 17, 2019 to be Holy Hog Barbecue Day. 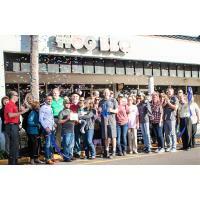 Holy Hog is located at 127 E. Bloomingdale Ave in the Winn Dixie plaza. This is located on the SE corner of the Bloomingdale and John Moore intersection. They are very near the main entrance off of Bloomingdale. Hours of operation are Sunday to Wednesday: 11:00am - 8:00pm, and Thursday through Saturday: 11:00am - 9:00pm. To learn more, check out their website at www.holyhogbbq.com.